Happy National Donut Day Y’all!!! I kicked off my donut day with a wonderful array of 4 PRONUTS (protein donuts) for just 200 calories for all of them! 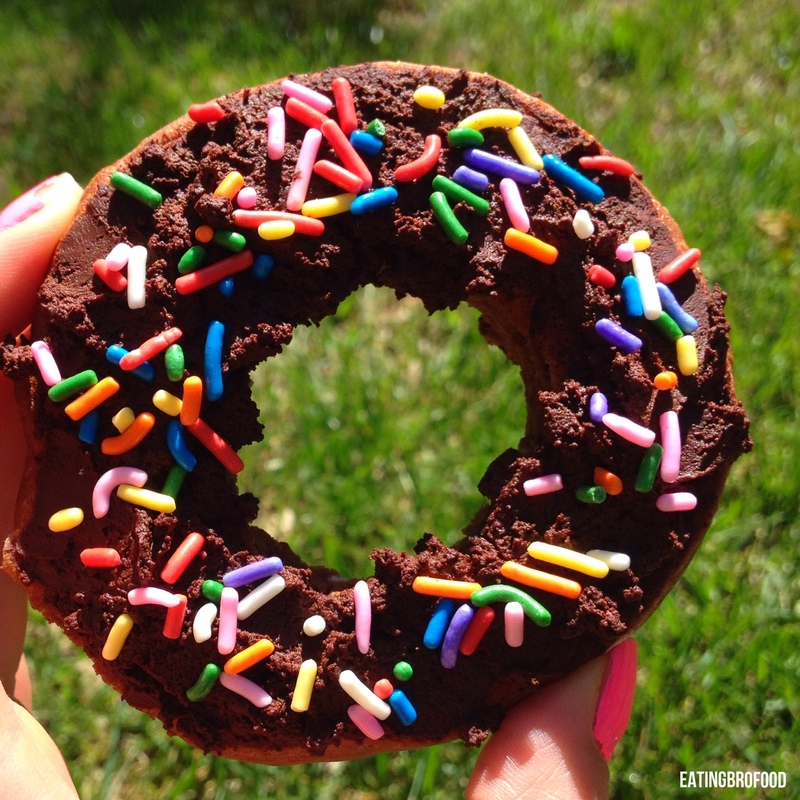 Each donut is only 50 calories each, protein packed and has no sugar added! 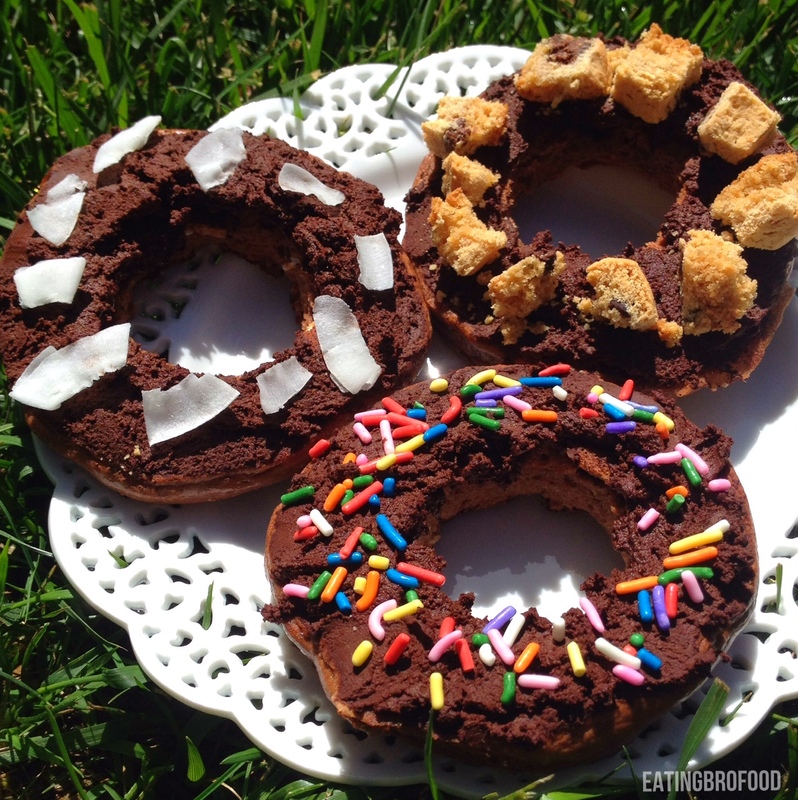 The donuts above feature toppings: toasted coconut, sprinkles and a Lenny & Larry’s Chocolate Chip Complete Protein Cookie. These can be make without a donut pan as they are made out of PANCAKES!!! That’s right I found a delicious way to health-ify donuts and pancakes! You’re welcome! -Use any toppings you’d like! 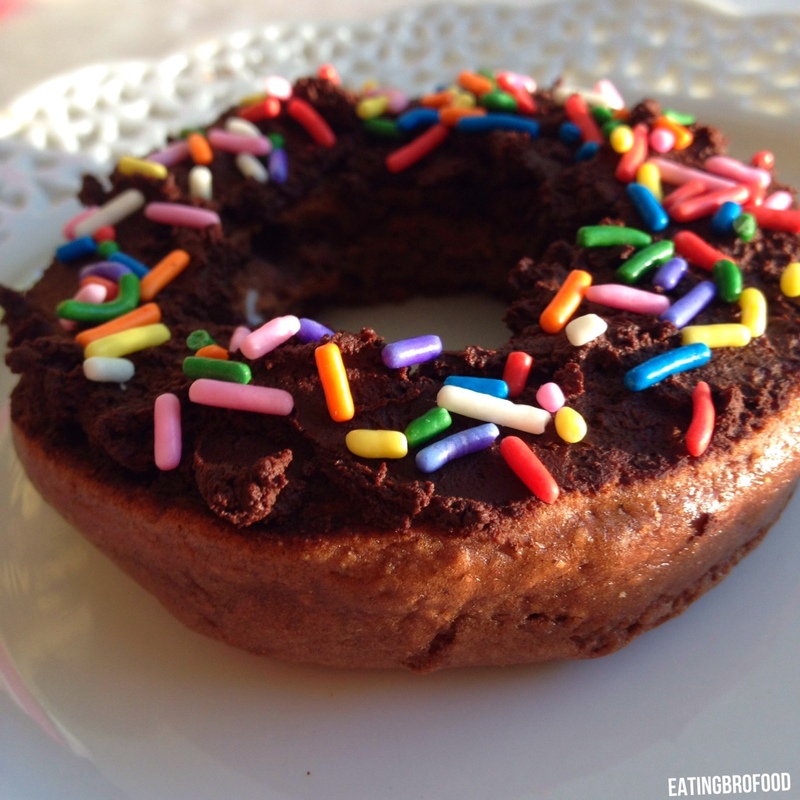 -Top donuts with sprinkes, chocolate chips, mini peanut butter cups..etc.